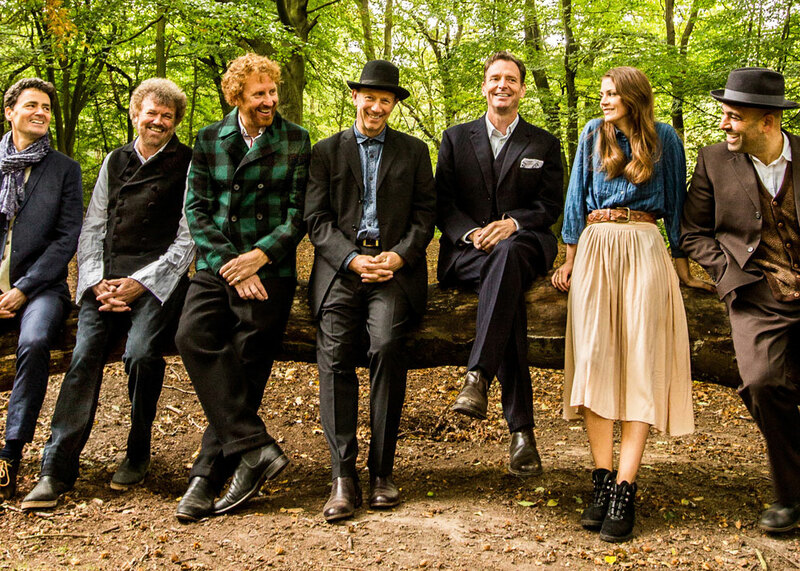 Police Dog Hogan are a high-energy and eclectic eight-piece, combining fiddle, trumpet, mandolin, drums and guitars with four-part harmonies in an exuberant and genre-defying fusing of country, pop, folk, and rocking urban bluegrass. Much-loved Guardian columnist Tim Dowling adds his banjo to the musical mix. They’ve played at festivals from Port Eliot and Bestival to Kendal Calling and Larmer Tree, and last year they appeared at Glastonbury for the first time, playing to a packed house on one of the major stages (Avalon). In July 2017 they were among the headliners on the main stage at the Cornbury Festival. Most shows on their last tour, from London, Bristol, Liverpool and Exeter to Salisbury’s City Hall, sold out and were rapturously received. “Pure unadulterated entertainment” and a “band really not to be missed” was the verdict from the critic of Maverick Magazine.